Noho Island is a location where a significant amount of untouched wildlife remains. In the beautiful ocean with high transparency, some of the largest colonies of table coral in Okinawa have been discovered in recent years, and it has also become an increasingly popular location for diving. Before the completion of the Noho Bridge, connecting the island to Iheya Island, Noho Island was plagued by salt, which ended up in well water, but that is now a story of the past.The salt made by Mr. Matsumiya, a salt artisan who is passionate about salt production on the island and has many fans throughout the country, has become one of the local specialties that represent the island. 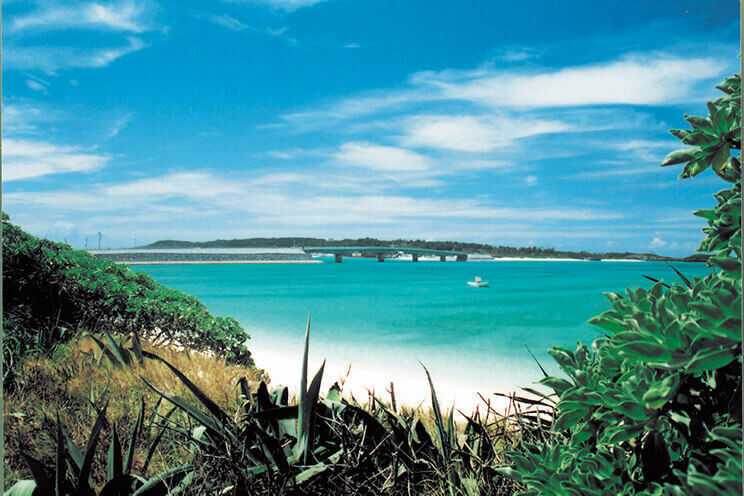 The delicious salt has been attributed to the truly stunning sea surrounding Noho Island. Sea of Colorful Coral Where Unspoiled Nature Remains. 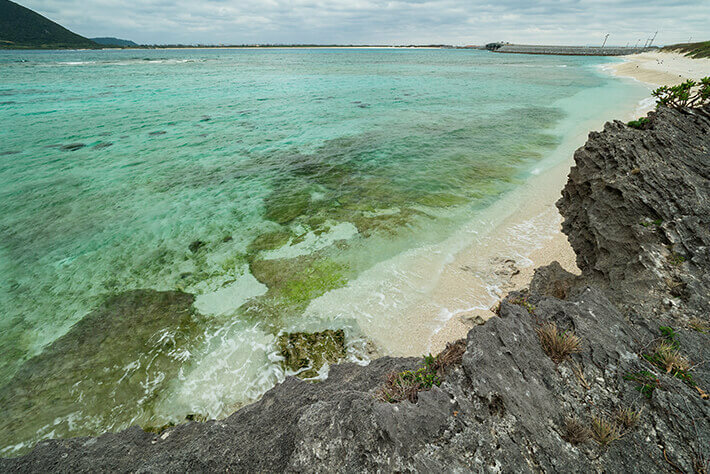 As there are fewer tourists compared to the main island of Okinawa, much of the nature on Noho Island remains untouched. 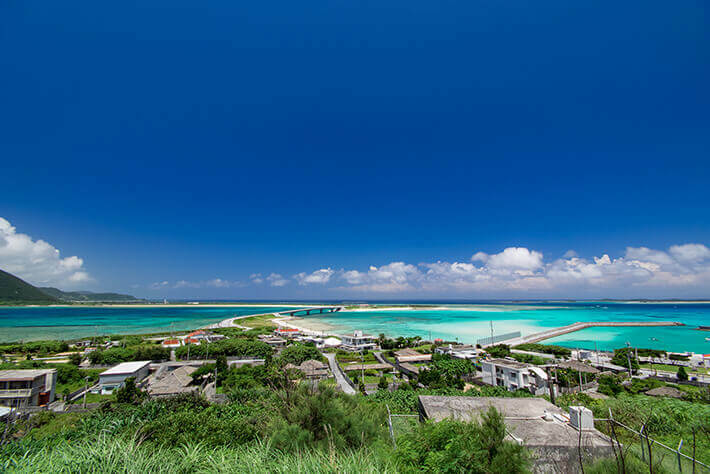 From Iheya Island to Noho Island, there are still dense colonies of coral in the heavenly ocean, where visitors can enjoy diving with an array of sea creatures. In recent years, some of the largest table coral in the prefecture have been found in the waters off of the island. Find Various Salts from Around the World! 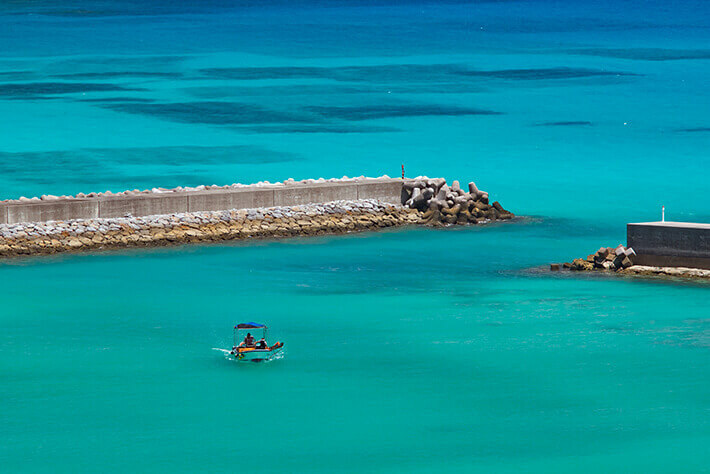 Try "Salt Cruising" on Noho Island. 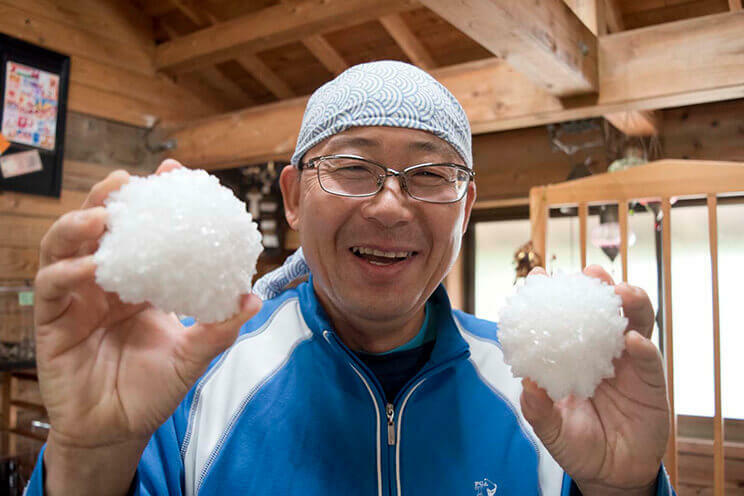 Ken and Sayuri Matsumiya, a married couple, traveled to more than 30 countries to visit salt production sites, ending up on Noho Island to make the best salt possible. While producing salt, the couple also runs the Museum of Salt from Around the World with their staff, where they have on display amazing salt crystals like you have never seen, in addition to colorful rock salts, among other salts from various regions across the globe, that will have visitors captivated. Of course, they also introduce various salt production sites along with photos. This is a must-see museum with the theme of “salt,” which has been essential throughout human history. Overlooking the Beautiful Sea, Mountains, and Villages of Noho Island and Iheya Island. When crossing the Noho Bridge from Iheya Island, you can see the Noho Park Observatory. 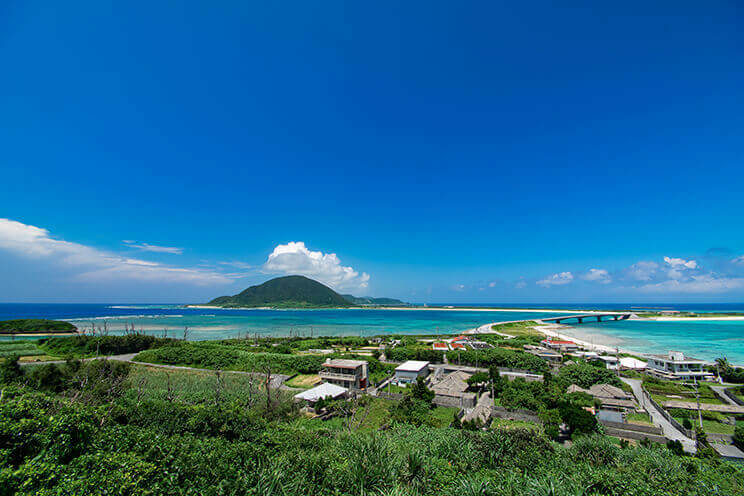 From this observation deck that is situated in the village, you can see not only the mountains of Iheya Island, Noho Bridge, and the villages and sea of Noho, but also the neighboring Izena Island. 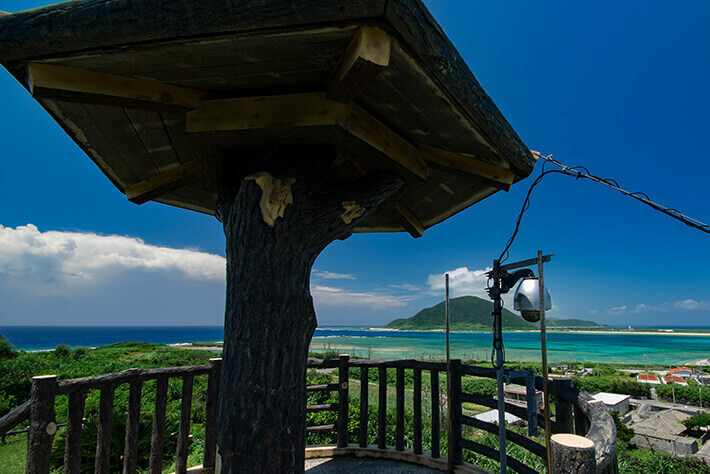 From the observation deck surrounded by spectacular nature a 360-degree panorama, you can observe the sea of vivid gradation, white sand beaches, and rustic villages that spread beyond the vegetation of lively trees. 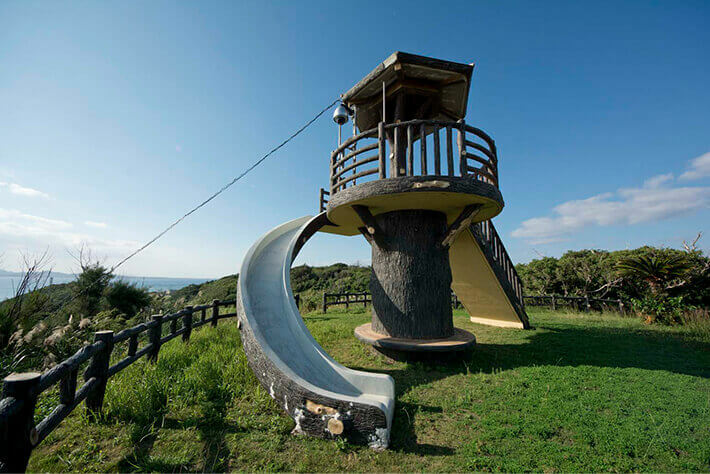 This is a place where you will encounter amazing scenery as far as the eye can see, that you will want to capture on camera as a momento to take home.